The new football league opens their inaugural season this weekend and will include a few familiar names to Vandals and Broncos fans. The weekend after the Super Bowl is one of the saddest times of the year for football fans. It means no more games until August, but a new spring football league starts up this February that seeks to become a new developmental league for the NFL. The Alliance of American Football, or AAF, was founded in 2018 and its first game will be on Feb. 9, on the Saturday following Super Bowl LIII. NFL and college football fans will recognize some of the big names leading the league, including Bill Polian, who will be the Head of Football and is the co-founder, Troy Polamalu and Hines Ward, former Pittsburg Steelers greats, who will both be heads of player development, and Jared Allen, a former Idaho State and Minnesota Vikings player, will be an advisor for player engagement. The AAF will start with eight teams; the Salt Lake Stallions, San Diego Fleet, Arizona Hotshots, San Antonio Commanders, Orlando Apollos, Atlanta Legends, Memphis Express, and the Birmingham Iron. Each team will feature players that last played in college or at an NFL team closest to their city. The Salt Lake Stallions' roster includes a few former University of Idaho Vandals and a Boise State Broncos player. Former Broncos defensive back Chanceller James will be one of five defensive backs on the Stallions' roster. James will be joined by former Vandals quarterback Matt Linehan and punter Austin Rehkow. The Stallions also have a few other former Mountain West players on the team, including Colorado State center Jake Bennett and guard Nick Callender. Defensive tackle Mike Purcell and tackle Ryan Cummings all from Wyoming are on the roster as well. Utah State linebacker Anthony Williams and defensive back Will Davis also signed with Salt Lake. 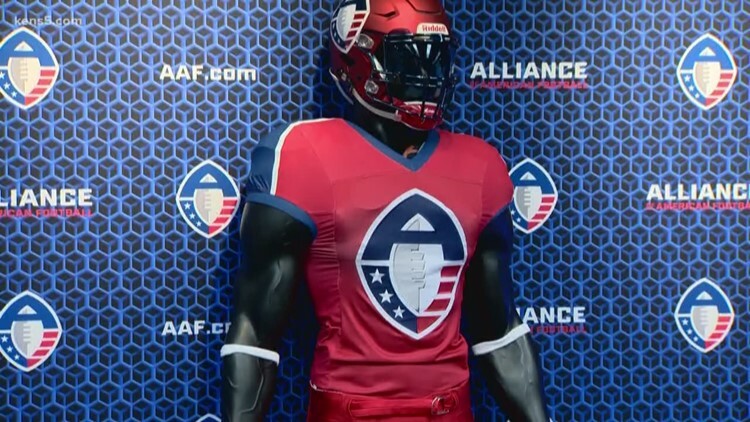 The AAF also includes some major NFL and college coaches and players. Mike Singletary, a former defensive player on the '85 Chicago Bears and NFL Hall of Famer, is the head coach of the Memphis Express. Steve Spurrier, former South Carolina and Florida head coach, will lead the Orlando Apollo. Former Tennessee Titans quarterback Zach Mettenberger signed with the Memphis Express, former Indianapolis Colts and CFL running back Trent Richardson plays on the Birmingham Iron. Former Washington Huskies running back Bishop Sankey is on the San Diego Fleet roster. The new league has a television contract with CBS that will carry its first opening day games between the Orlando Apollos and the Atlanta Legends and the San Antonio Commanders playing at the San Diego Fleet. Then CBS Sports will broadcast one game per week throughout their 10-week regular season. The league aims to have shorter games, no longer than two and a half hours, thanks to shorter play clocks and up to 60 percent commercial time. Other differences to the NFL include that there will be no kickoffs or extra points. Teams are forced to go for a two-point conversion after every touchdown. Teams automatically receive the ball on their own 25-yard line following a score, or the scoring team can try to gain ten yards on a single play on their own 35-yard line to maintain possession. Each team also has a 50 player limit to their rosters. The AAF plays a 10-week, 40-game regular season and will have a four-team, two-week playoff. The AAF championship game will be played at Sam Boyd Stadium in Las Vegas in 2019 and 2020.